It’s a good news, bad news situation for Florida residents as Walt Disney World announced it has brought back a very popular four day ticket option from last year, but it has raised the price almost 20 percent. 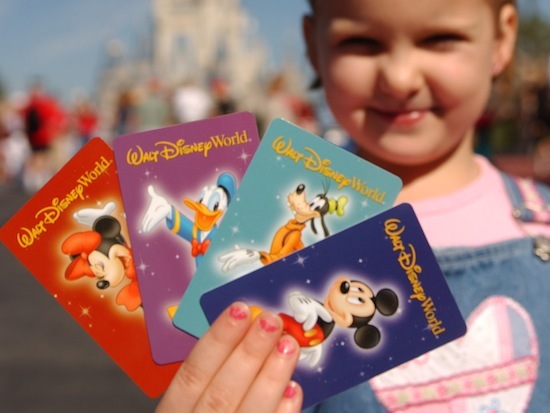 The new “Wild 4 Disney Pass” allows Florida residents four visits to any of the four Walt Disney World theme parks and is valid through May 26, 2011. The pass costs $119 plus tax (for a total of $126.74) and is comparable to last years “Disney 4 Day Dream Pass” that sold for $99 plus tax. The No Expire Option is not available for the “Wild 4 Disney Pass” and there are black out dates during Easter week of April 17 through April 24. However the Park Hopper or Water Park & More options can be added for $27 (plus tax) each. Proof of Florida residency is required. The Wild 4 Disney Pass can be purchased online by Clicking Here. Tickets can also be purchased at any of the Disney World theme parks. • Derek Burgan is a long time fanatic of Orlando theme parks and attractions. He recently posted The Top Three Least Wanted Theme Park Gifts and can recommend the movie Waking Sleeping Beauty on DVD for all Disney and animation fans. He can be seen at facebook.com/derekburgan.